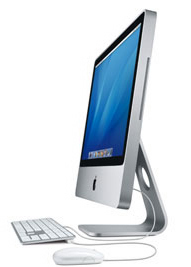 The 20" 2.42 GHz model used a 128 MB ATI Radeon HD 2400 XT graphics chipset. The 24" model weighed 25.4 pounds, consumed 280 watts of power, and had the following dimensions: 20.5" H x 22.4" W x 8.1" D.
A high-end BTO model was also available, with a 3.06 GHz Intel Core 2 Duo Extreme processor, an NVIDIA GeForce 8800 GS with 512 MB of VRAM, and a 500 GB hard drive, for $2199. 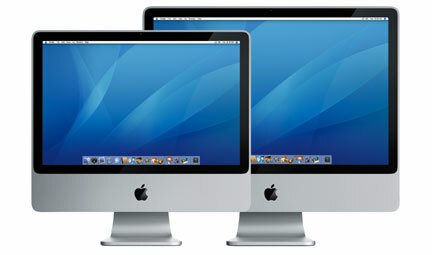 All models were replaced in March 2009, by the iMac (Early 2009).